Avocados aren't just for toast anymore! An adorable gift book with 120 illustrated avocado smash-ups and pit-iful puns. Avocados are the celebrity of the fruit universe. This funny, illustrated collection pays homage to America's favorite fruit. Avocabra! Guaca-mole, Kiss My Hass! 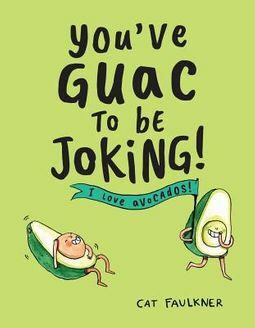 Let's Avocuddle!Puns and mash-ups celebrate global avo-obsession!